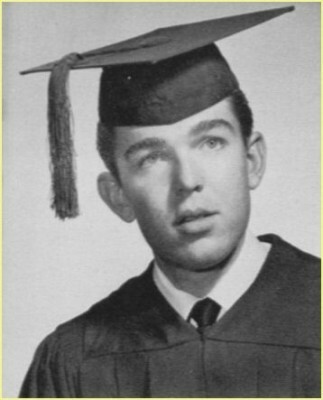 This is the graduation photograph listed for one Don Vliet in the high school yearbook at Antelope Valley High School, Lancaster, CA. 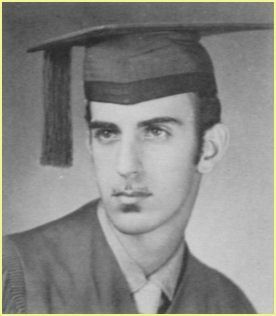 Alternatively, many schools take graduation pictures early and it is possible that Don dropped out in the time between having his photograph taken and when he would have actually graduated. Did Don and frank go to school together? Did they hang out together while going to school? Yes, they spent a lot of time together listening to blues records. The first ever recording of either of them making music is of the two of them together along with Frank’s brother Bobby doing an original song they came up with called Lost In A Whirlpool with Don on vocals and Frank and Bobby on guitars. It’s on the Frank Zappa album The Lost Episodes. A lost classic: Lost In A Whirlpool, but still available on the Cucamonga, Studio Z recordings if you can find it.